Hello ! 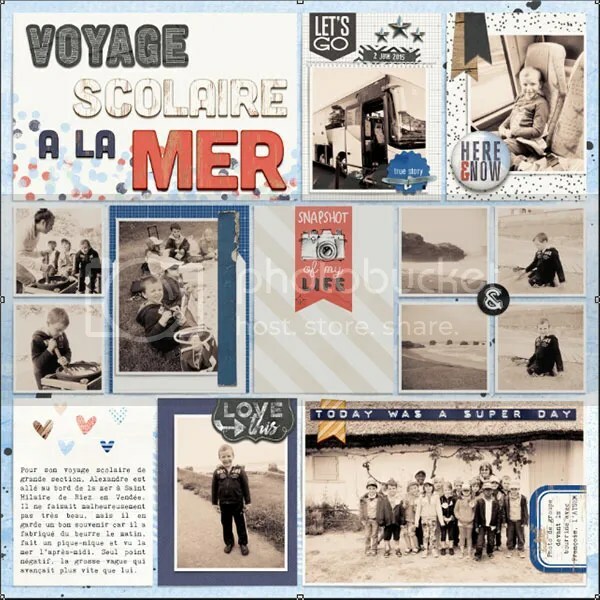 Gaelle here and I am happy to share with you my Pocket Page Scrapbooking Process with you. 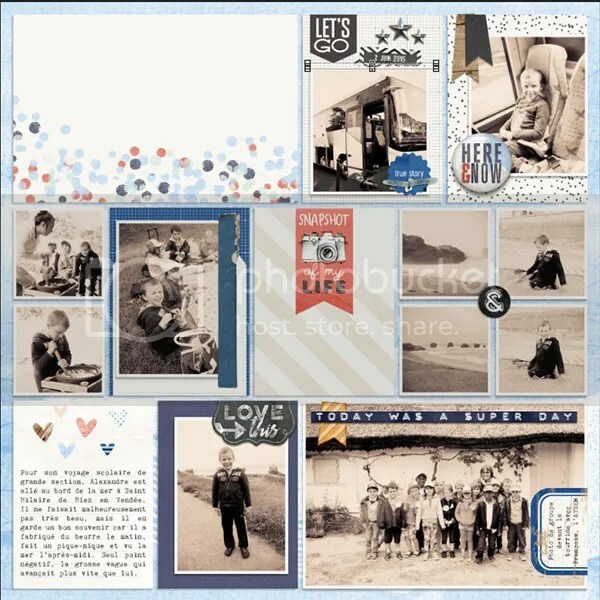 I love pocket page scrapbooking because I think it’s easier to keep up with memory keeping. 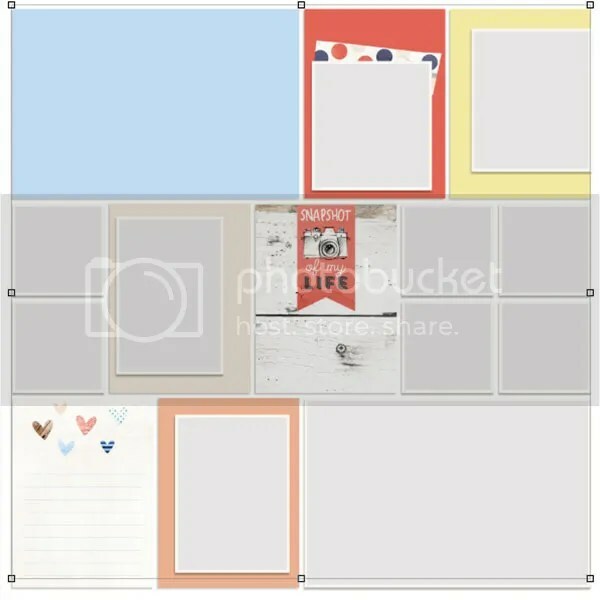 The 1st step for my pocket pages, is to choose the pictures I want to scrap. Last year, my son went on a school trip by the sea and I never scrapped the pictures the teacher gave me. I think it’s time… one year later… I’ve selected around 15 pictures. The 2nd step is to choose a kit and / or a template. I’m a template addict so I’ve chosen a kit and a template and the June Storyteller collection goes perfect with the sea theme of my pictures. and the template from the collection. I will use the template on the right. Now that I know exactly how many pictures I need, my 3rd step is the picture treatment. I love black and white pictures, I think it’s easier for the colors. For that, I (try) to use Lightroom, but you can use your scrap software. 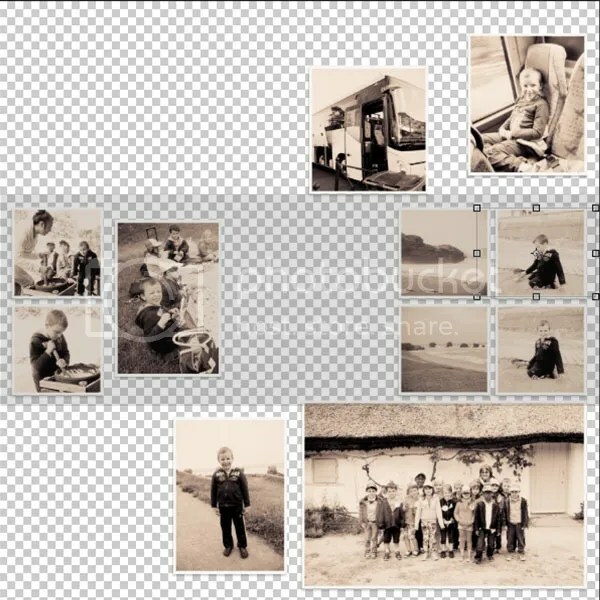 My pictures are now ready, the 4th step is to place the pictures on the template and see how it goes together. all the papers and journal cards, I’ve only the pictures places. My pictures are placed and now the 5th step is to place the background papers and journal cards. The template had some of them, I’ve keep some journal cards but have changed the background paper. When I want a clean & simple pocket page, I skip the next step. 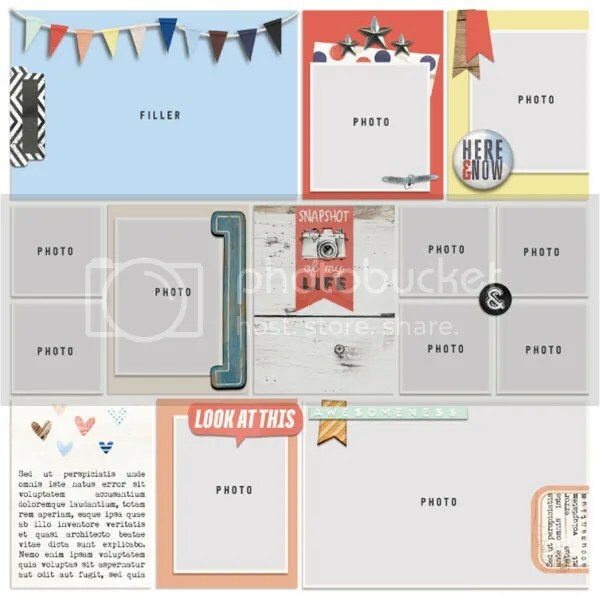 In Jaimee’s kit there are always so cute elements to customize your page and make it unique, I will place some elements. It’s the 6th step of my process. The 7th step is maybe the most important step for a pocket page : the story. For the journaling, I use a typewriter font but I love handwritten fonts too. For this one, I’ve used the font Kingthings Trypewriter 2. My page is not yet finished, the 8th step is the title. For titles, I love playing with the alphas in Storyteller’s collection, there are always cute alphas. In this page, I’ve used 4 alphas ! Here’s the 10th and last step of my process : the shadows. My page is finished and will have a special place in my 2015 PL. My son loves it because it reminds him good moments with his teacher and friends. 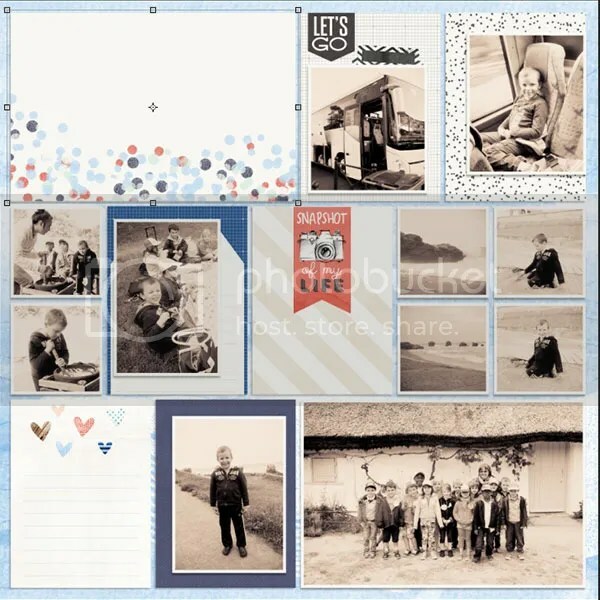 My Pocket Page Scrapbooking Process is now finished, I hope you enjoyed it !